Projects across Yorkshire are celebrating after winning vital funding from the Jane Tomlinson Appeal. A total of just over £50,000 has been presented to 11 causes by the Appeal, the legacy of the late Jane Tomlinson CBE, who raised £1.85m for children’s and cancer charities before her death from cancer aged just 43 in 2007. The charity which bears Jane’s name gives out grants to support, in the main, children’s and cancer charities, across the region and beyond. Jane Tomlinson Appeal Manager Kate Goldring said: “Unfortunately we always have to say ‘no’ to many great organisations as we receive so many applications for funding. “But saying ‘yes’ and sharing that news with some fantastic organisations is the best part of the job! Samantha Lambert, from Leeds-based SNAPS, said: “We are delighted to receive support from the Jane Tomlinson Appeal. “The grant will go towards starting our new Saturday trampoline club at Broomfield School, South Leeds. “The club is aimed at supporting disabled children and their families to experience exciting new activities which they might otherwise be excluded from. The grant will enable us to employ a paediatric physiotherapist and a support worker to ensure everyone, regardless of disability gets to have a bounce. Pam Thornes, Trust Manager at the Laura Crane Trust, said: “A big thank you to the Jane Tomlinson Appeal for their amazing support for our latest project to support teen and young adult cancer patients through their illness. 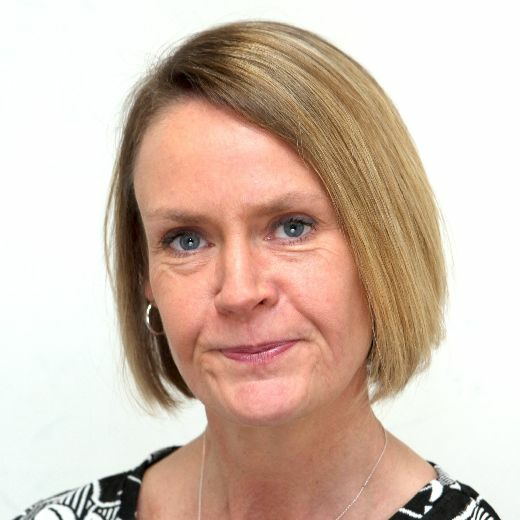 Natasha Banke, Director at Hull Children’s University, said: “The funding that the Jane Tomlinson Appeal is providing to support our healthy lifestyles project is invaluable. Jonathan Pearce, Chief Executive of the Lymphoma Association, said: “We are extremely grateful to the Jane Tomlinson Appeal for providing us with this grant, which will enable us to implement the Life your Life project and change the lives of people living with, and beyond, lymphoma in the North of England and the Midlands. “As a systemic cancer that affects the lymphatic system the experiences of people with lymphoma can be different from those with more common cancers. Kate Steele, Chief Executive, Shine (the spina bifida and hydrocephalus charity), said its donation would be spent working with children and babies and their families in Bradford. In total, in this round of grant giving, the Appeal gave out £56,472.93 to 12 charities across the North and Midlands. Jane Tomlinson made headlines across the world by competing in a series of epic endurance challenges from the London Marathon, ironman and triathlon competitions, to a 4,200 mile cycle ride across the width of the USA – despite being diagnosed with incurable cancer. The appeal she established has so far raised nearly £8m and makes grants across the North and Midlands twice a year.